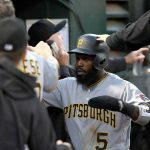 Fortunately for Pittsburgh, the final Wild Card spot is still well within reach after a disappointing performance by the St. Louis Cardinals this past weekend, losing three of four games to the Washington Nationals. The Bucs are a game and a half behind the Cardinals and a half game behind the Los Angeles Dodgers. That’s the bad news. The good news is that the Pirates begin a stretch against the Houston Astros and Chicago Cubs, two teams who have collectively lost 175 games so far this season. There is a huge opportunity for the Pirates to make up ground this week and beyond. The time is now. It has been a nightmare of a season for the Astros. Even though this was somewhat expected by the team and their fans, given the fact that 2012 is their final year with the National League, it’s hard to think that anyone imagined it would be this bad. For those Pirates’ fans feeling bad for themselves because of their difficult month of August, things could be worse. The Astros finished last month with a 5-22 record, including separate losing streaks of five, six, and seven games. Ouch. Offensively, the Astros actually do have some decent individual players, highlighted by Jose Altuve, who leads the team in batting average, runs scored and stolen bases, as well as Jed Lowrie and J.D. Martinez. Lucas Harrell has been their leader on the mound for the bulk of the season, especially since the trade that sent Wandy Rodriguez toPittsburghnear the trade deadline back in July. Harrell leads the ‘Stros in wins, innings pitched, and ERA. 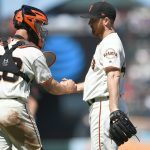 There’s no need to extensively go through the horribly embarrassing statistics in regards to the Astros’ demise in the N.L. 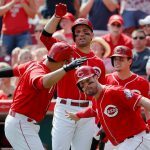 Central, such as the fact that they’ve been outscored by a total of 201 runs so far this season, and currently sit 40.5 games behind the division leading Cincinnati Reds. While their home record is respectable at least, with a 28-40 record atMinuteMaidPark, the Astros’ record away from home is a dismal 13-53. Yes, this is a series that the Pirates have to win AT LEAST two games…no excuses. 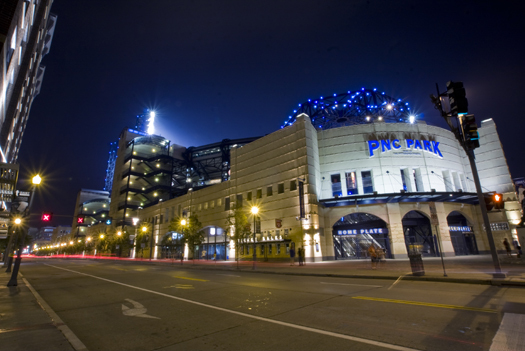 With three games against the woeful Astros this week, beginning this afternoon at PNC Park, the Pirates need to respond from their nightmare trip to Milwaukee last weekend. There is negativity and frustration around this team right now, especially after their performance the past few weeks, and understandably so, but this team is within a game and a half of the post season with a month remaining in the season. Sure, things could have be better at this point in the season…but they could also be A LOT worse. We’ve seen A LOT WORSE. Let’s enjoy this…they Bucs are in a playoff race!